Instagram is working on a new format for ads that will allow brands to sponsor an influencer's posts. This direction shows the platform's intention of making influencer marketing more transparent. 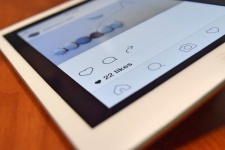 According to Ad Age, Instagram is calling the tool Branded Content Ads and hopes it refine the process of buying ads between brands and influencers online. Instead of just paying influencers for posts that only their followers would see, now brands will be able to have those same posts promoted and shared around like other ads on Instagram. This will cause other users on Instagram outside of their follower base to see the posts and possibly follow and interact with them. Instagram product management lead Ashley Yuki says Instagram began trialing this type of advert last year. “Brands are seeing that this branded content ad product sometimes helps overcome challenges they have with organic branded content," Yuki said. "They are exploring ways that brands can amplify branded content."